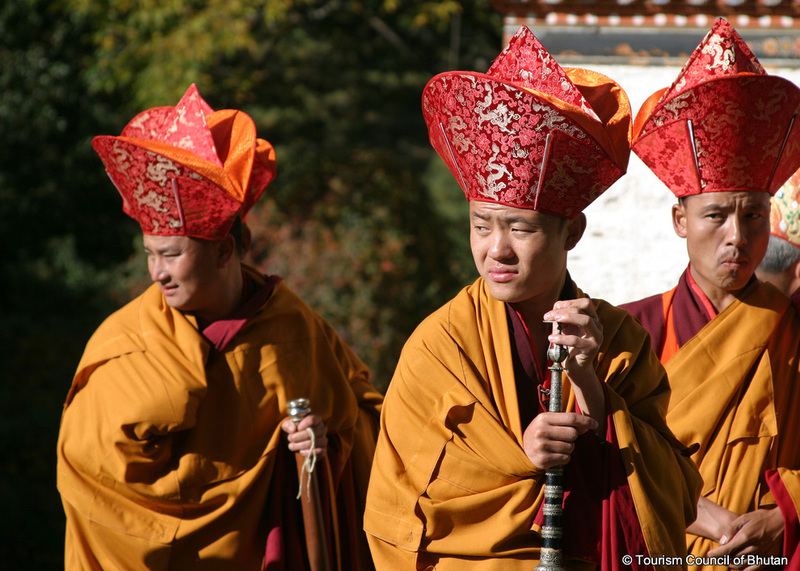 Bhutan has a rich culture, the result of self-imposed isolation from the rest of the world until five decades ago. 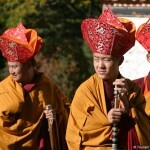 Even today the government strongly emphasizes promotion and preservation of its unique culture which is reflected through its magnificent architecture, dress, traditional ceremonies, everyday life of the Bhutanese people, and traditional beliefs. Bhutan follows Driglam Namzha to preserve its tradition and culture. It is a set of etiquette as what to wear, how to eat, talk, bow down and so on. It was introduced and implemented since the 90’s. Looking at the ancient infrastructure, textiles, farming traditions and way of living and the performing of cultural and spiritual rituals and ceremonies, we can say that Bhutan boasts of a singularly unique identity. Dzongkha, meaning the language of the fort, is the national language of Bhutan. Dzongkha, widely spoken in the western region became the state language in 1971. Bhutan is a multilingual society. There are 19 different languages and dialects spoken throughout the country. Besides Dzongkha there are three other dominant languages – Tshanglakha also known as Sharchokpa, spoken in eastern Bhutan, Lhotshamkha also known as Nepali, spoken in the southern region and Bumthangkha, spoken in central Bhutan. English is widely spoken as it is the medium of instruction in schools. Hindi, the Indian language is also widely spoken and understood by most Bhutanese because of the Bollywood (Indian cinema) influence. Small though it is, Bhutan has a rich and diverse culture. The country’s difficult topography succeeded in keeping each ethnic group separate and vibrant. The majority of the Bhutanese are divided into three main ethnic groups: the Sharchops, people from the east, the Ngalops, people from the west and the Lhotshampas, people from the south. Tshanglas, the inhabitants of Trashigang, Mongar, Pemagatshel, and Samdrup Jongkhar are considered Bhutan’s earliest residents and their origins can be traced to the Tibeto-Burmese race. The Ngalops of western Bhutan are the later settlers who migrated from Tibet bringing with them Vajrayana Buddhism as it is still practiced today. Lhotshampas migrated into Bhutan from the south and settled in the southern plains in search of agricultural land and work in the early 20th century. Bumthaps and Khengpas of Central Bhutan, Kurtoeps of Lhuentse, Brokpas and Bramis of eastern Bhutan, Doyas of Samtse and Monpas of Trongsa and Wangdue constitute other minority groups.